One of the most common questions I am asked is, “How do I find a good homeopath?” For reasons I will discuss, this is surprisingly difficult to answer but I can provide a set of guidelines to help you recognise when you have found someone who is a ‘good homeopath’. First, lets look at why guidelines should even be necessary. World-wide, homeopathy is regarded as a “low risk” system of medicine. In a perverse way, this low risk-status has worked against it. As homeopathy doesn’t harm people governments prefer not to legislate about who can and can’t practice it. As a result anyone – doctors, dentists, consellors, psychologists, kinesiologists, naturopaths, herbalists … and sometimes even the grandmother’s cat – can access and treat with homeopathic medicines even though they may not be qualified to do so. As almost anybody can currently call themselves a homeopath, how do YOU find a real one? How do YOU find someone with the knowledge and skill to treat your complaint homeopathically and not just someone who prescribes potentised remedies with a pre-set ‘this for that’ approach? First check your potential practitioner is registered with an appropriate organisation and preferably one recognised by your government as being representative of acceptable homeopathic standards. Most countries do have such organisations. In Australia, that Australian Register of Homeopaths (AROH) provides that service. It only registers practitioners who meet government-endorsed educational standards which are considered the minimum for proper homeopathic practice. If your therapist, practitioner, or doctor is not a member of AROH (or similar international organisation), it is likely they do not meet these standards. But educational standards are just one way to assess who could be a good homeopathic practitioner. As with all professions and occupations, the person has to be able to transfer what they have learnt into their area of work. The following chart helps you identify who really ‘walks the talk’ with homeopathy. It mainly concerns the homeopathic management of chronic problems. While it can also be used to assess acute care, there may by minor variations in treatment. Consultations are of an adequate length. First consultations for a chronic or constitutional prescription should be at least 1 – 1 1/2 hours (babies may only need 1/2 – 1 hour). As base-line information was obtained during the first consultation, follow-up consultations do not have to be as long and may only be 1/2 hour duration. Does not allow enough time for consultations. Short consultations make it impossible to collect all the information needed to make a good homeopathic prescription or to analyse how you responded to the remedy. Treats only by homeopathy and general “naturopathic” concepts.Homeopaths understand that health is sustained by nutritious food, sunshine, exercise, harmonious relationships, clean air and water, but when the person is still unwell in spite of these basics being present, they will use homeopathy to correct the imbalance causing the poor health. Homeopaths use remedies in a specific manner to stimulate the body to heal itself. While they certainly treat people who are also using other therapies, they won’t supplement homeopathic treatment with a few more of their own, knowing that many approaches suppress symptoms rather than strengthen the body to bring about its own healing. Uses homeopathy as one of many modalities for treatment. Poor practitioners have no awareness of which therapies stimulate and which suppress. For this reason they happily combine anything “natural” with homeopathic treatment as long as it provides short-term relief. If your practitioner mixes homeopathy, herbs, supplements, bodywork therapies or even pharmaceuticals into your treatment, a confusing array of messages is sent to your body which can be counter-productive. Your practitioner is a “jack of all trades” but master of none. Listens carefully to your story and symptoms without judgement. A good homeopath enjoys what they do, is interested in your wellbeing, happily answers your questions, and listen to your story impartially and objectively. Rather than being shocked by any “strange” symptoms a good homeopath sees as part of an imbalance you would like them to correct. Is arrogant, judgemental or seems bored. This type of practitioner is in the wrong job.They would do better for everyone concerned if they referred you to someone else and looked for employment that better suited their interests and personality. Conducts basic observations and refers for other investigations when necessary. Your homeopath should conduct basic observations and examinations as needed such as blood pressure, temperature, pulse, listening to your chest with a stethoscope, and ear and throat examinations. They should also recognise when your symptoms may indicate the presence of a more serious condition and refer you so further diagnostic tests can be performed. Never assesses you physically or refers for other investigations when needed. This practitioner either lacks the skills to carry out basic physical assessments or is failing to collect adequate information for the homeopathic prescription. Important information may be missed that could have implications for how your case should be managed. Prescribes according to your “symptom totality”. Your homeopath should be interested in all the mental, emotional and physical reactions you experience. This cross-section of symptoms, past and present, reveals the true extent of any ill-health and which remedy will give the best results. Focuses on only one or two obvious symptoms. If your practitioner focuses on only one or two immediate symptoms they may be saving time but not be collecting enough information to make a good prescription. Likewise, if your practitioner is only interested in your mental and emotional symptoms because “all disease arises in the mind”, they are failing to prescribe on all available information. Collecting the “symptom totality” takes more time but still produces the best result. Prescribes according to your symptoms rather than the name of a disease. Homeopaths treat diseased people rather than diseases they don’t treat the measles but the way you are ‘measling’. Homeopathy works best when prescribed for the person’s unique response to and experience of their illness. For this reason, different people with the same complaint often receive different rather than the same remedies. Prescribes according to a disease name rather than your symptoms. A practitioner who gives you a remedy “for pneumonia” or “for arthritis” shows they do not understand homeopathy. They are taking a stab in the dark that is more likely to miss than not and you won’t have the best results. Does not rely on “energy” or bioresonance machines for making aprescription. Good homeopathic prescribing still relies on the human skills of collecting symptoms, grading their importance, choosing the best remedy, interpreting the person’s response to that remedy, and adjusting the prescription if necessary. Machines that “measure energy” do not accurately replace these skills. A good homeopath may use a computer for case notes or analysis but they will not attach you to a machine so it can make a prescription. Diagnoses and prescribes according to the readout from a machine. Alarm bells should ring if a practitioner uses a “bioresonance” machine or similar to make a homeopathic prescription. Once again, this very act shows they are incapable of finding the best remedy for you by themselves. These machines detect superficial and transient changes in the bioelectrical energy of the body and make prescriptions accordingly. Short-term improvements can be obtained but these machines lack the ability to prescribe for lasting and deep-seated change. Prescribes one remedy at a time. 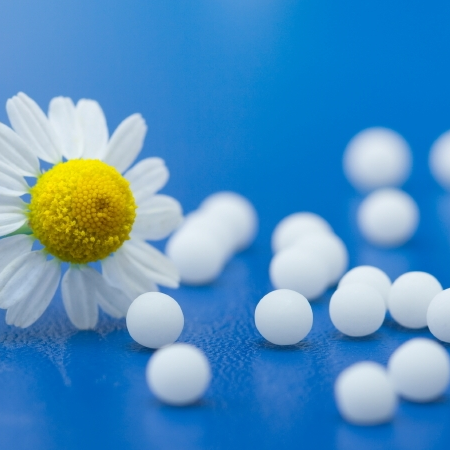 It is often said in homeopathy that the first prescription is the easiest to make, and that the measure of a homeopath is their follow-up management. Your homeopath should collect your symptoms, prescribe a single remedy that best matches them, assess the changes at the next appointment from this prescription and then re-prescribe a better matching remedy if needed. This cyclic method of case analysis and prescribing is the best way to achieve progress. Noting how your body responds to remedies and adjusting treatment to suit will systematically moves you to better health. Prescribes combined remedies (complexes), or multiple remedies to be taken on the one day. Complexes are useful for consumer home-use but practitioners only prescribe in complexes if they don’t know how to match your symptoms to the single correct remedy. Multiple remedies, whether given in complexes or rotated rapidly over a short period of time, confuse your “symptom picture” and make future prescribing difficult. It muddies the water rather than creating clarity. Prescribes more often in liquids than in pilules or tablets. Using liquid remedies is the most advanced way to prescribe homeopathic remedies. Prescribing in liquid means that the dose can be easily adjusted to suit the needs and sensitivity of the patient. More or less dilution makes the remedy stronger or weaker and varying the number of succussions (vigorous shakes) it receives before each dose alters its energetic intensity. Neither of these things can be done with pilules or tablets. Liquid dosing also allows the remedy to be repeated more rapidly than would be possible with pilules or tablets. More frequent repetition in liquids reduces the risk of aggravations (a temporary intensification of your symptoms) and speeds the rate of cure. Only prescribes in pilss or tablets. Because there is no easy way to alter the energetic intensity of pills or tablets, those who are are sensitive are more likely to have non-harmful but unpleasant aggravations (temporary worsening of symptoms). Aggravations are also more common with pills and tablets if the remedy has to be repeated frequently. Less frequent dosing that avoids an aggravation leads to slower improvement, especially in the treatment of chronic disease. While pill and tablet prescribing is still effective it is probably best thought of as ‘good’ homeopathy rather than ‘best’. Prescribes a test dose to assess your sensitivity to the remedy. Patient sensitivity can vary to homeopathic remedies. Some people are quite sensitive and respond strongly to the remedy while others display gradual improvement with long-term dosing. Sensitive individuals are more likely to experience an aggravation with repeated doses or doses that are too strong. For this reason a good homeopath will give you a test dose of the prescribed remedy to assess how strongly you respond before deciding how often you should take it. Prescribes a pre-determined number of doses without assessing your sensitivity. Routine dosing in a “one size fits all” manner is certainly easier for the practitioner but does not meet the needs of their sensitive patients – aggravations are more than likely. Practitioners who prescribe regular doses without first checking for sensitivity are either poorly trained or do not have their patient’s best interests at heart. You would be wise to invest your money elsewhere. Tries to avoid aggravations. While they are non-toxic and usually mild, well-trained homeopaths try to avoid aggravations for the comfort of their patients. They understand that aggravations occur when the dose is too large or the remedy has been repeated too frequently for that person’s sensitivity to it. They also know that that the body’s healing response will be halted during an aggravation, extending the time it takes for the person to improve. Tries to produce an aggravation. Some practitioners believe that aggravations are positive effects that show the correct remedy has been chosen. For this reason they dose repeatedly and aggressively until an aggravation has been achieved and then call them “healing crises”. While aggravations are generally short-lived and mild, this behaviour shows a little concern for the comfort of the patient and an ignorance of foundational homeopathic principles. Aggravations, while occasionally unavoidable, are unnecessary and should not be sought. Avoids making changes at the beginning of treatment. As a general rule, good homeopaths advise their patients not to make any changes to diet, supplements, and lifestyle at the beginning of treatment. They want to keep everything the same to clearly see what changes take place when the remedy is introduced. Once the effect of the remedy has been established, changes may be made. Introduces changes at the beginning of treatment. Practitioners who make changes to diet, lifestyle, and supplements at the beginning of treatment risk not being able to clearly see what is happening in relation to their prescription. Unnecessary changes at the beginning of treatment can confuse the symptom picture and make overall case management difficult. Continues your prescription medicines. While all homeopaths would prefer you came to them before your health problems required prescription medicines, and while some of these medicines may make it more difficult for the homeopath to manage your case, a good homeopath is still able to commence homeopathic treatment in spite of them. When you have conditions such as high blood pressure or diabetes, a good homeopath will also monitor things such as blood sugar levels and blood pressure readings during your treatment so adjustments can be made to your medications if needed. As improvement takes place, your homeopath will also encourage you to talk to your prescribing doctor about reducing some of your medicines or stopping them altogether if they are no longer needed. Encourages you to stop prescription medicines. A poorly trained practitioner may expect you to alter your medications without first consulting with your doctor. They may also refuse to treat you homeopathically on the basis that treatment would be impossible unless some or all of your prescription medications are stopped. It goes without saying that you should find another practitioner as soon as possible in either of these two instances. Able to be contacted between appointments. Adjustments to your treatment may be needed as you respond to the remedy during the course of your treatment. A good homeopath will advise you of this probability and provide a way for you to contact him or her so this can be done should the need arise. Not contactable between appointments. Your practitioner cannot be contacted between appointments and does not advise you on what to do in the meantime. If you have any concerns you just have to “wait it out”. Happily works with your doctor or specialist .At your request, your homeopath will be happy to work with your local doctor or specialist and to share information with them on the homeopathic management of your health problem. Reluctant to work your doctor or specialist. Your practitioner is reluctant to share information with your doctor or specialist and is inclined to make derogatory comments about them or other practitioners in general.